The new BDDI v2 looks almost identical to the original, but there are few differences – and pretty significant ones we might add. First of all there a MID knob has been added. And rather than having toggle switches to select output, phantom and ground, you now have push buttons like you do on the VT Bass pedal from Tech 21. 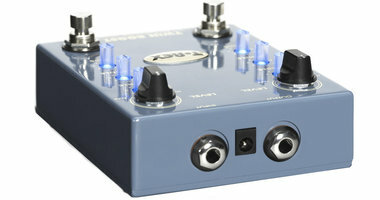 Also new, is the option to switch the target frequency for both the MID and the BASS knob. The MID can be set to either 500 Hz or 1 kHz, and the BASS can be set to 40 Hz or 80 Hz. Apart from that, the rest is more or less the same as it has always been. You get a LEVEL knob that is basically the master volume on the output, a BLEND knob that controls how much of the stube simulation you want to dial in, a TREBLE button, PRESENCE and DRIVE. The most important thing to decipher from the layout – which was also the case with the v1 of this pedal – is that the PRESENCE and DRIVE knobs are locked in with the BLEND function. This means that if you have set the BLEND knob all the way down, the dRIVE and PRESENCE knobs will have absolutely no effect on your tone. The TREBLE, MID and BASS, however, are global EQ knobs that will tweak your tone regardless of how the BLEND knob is set. The reason why this may confuse at first is that it is not indicated very clearly and the knobs that are ‘connected’ in the BLEND scenario are separated from the BLEND knob itself. But hey, once you know this and get used to it, it just works! There are 9 different kinds of sound clips for this review. It turned out that most of you guys actually read through the review, but might not have time to browse through +50 sound clips methodically going through each and every knob and combination of knobs. I understand that – time is precious – so staring a few reviews back, I will now cut back on the amount of sound clips, but still create the ones I feel are important to point our certain aspects, or at least some various setting that I like. In this case, there is a focus on the new MID control, letting you hear how it sounds either ‘bumped’ or ‘scooped’ at both 500 Hz and 1 kHz. 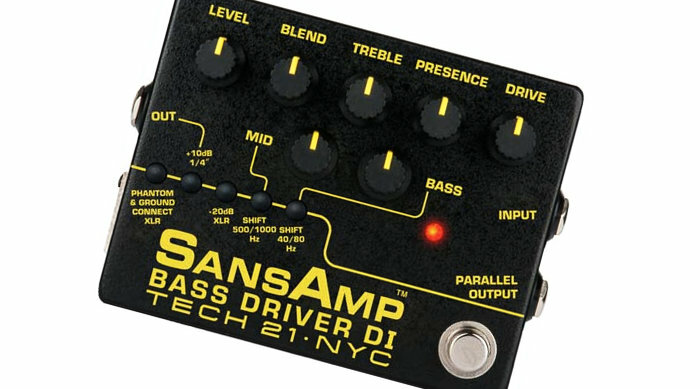 It is no secret that the original SansAmp BDDI has been a long-time favorite of mine. I have had it since the late 90’s and still have it. 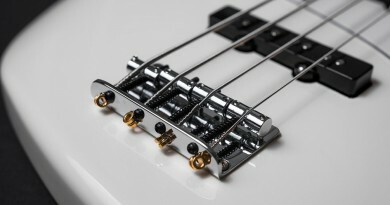 I mostly use it for very subtle changes and depending on the room, I often leave it on at all times as a tool to help shaping my fundamental bass tone. That said, the one thing that I did miss every once in a while was a dedicated mid-band control. Sure you can affect the mid frequencies even on a bass and treble only pedal by lowering both and increasing the overall volume, which will emphasize the mids – or vice versa. But I do like the new dedicated MID knob – a lot! It definitely increases the versatility of this pedal as a sheer tone-shaping device and that is very valuable in my world. Having the choice of selecting between 500 Hz and 1 kHz is even better. For bumping the mids, I would always go for the 500 Hz which adds to the core body of the tone. The 1 kHz tends to get a little ‘clanky’ for my taste. But if you want to scoop the mids out a bit, both frequency areas can work fine, depending on your bass, strings, etc. The DRIVE circuit is meant as way to add a bit of ‘hair’ and growl to your tone. Sure if you beef it all the way up, you do get something that would be overdrive-like, but this pedal is never going to give you an aggressive Darkglass tone, but that was never the intention with this pedal. Therefore, I see no reason to decrease the versatility score on that account. The drive circuit does what it’s suppose to do, and it does indeed offer a nice addition of you like a touch of tube’y warmth and clarity to your tone. I have always found the BDDI v1 very versatile, and obviously with the added features the new v2 is even more so. I really like the changes they decided to make. More options and places to go, but no changes to the part of the pedal that just worked out beautifully in the first place. If it ain’t broke, don’t fix it, the saying goes. The v1 was definitely not broken, but it appears that there was just a little room for further refinement, and in my view, Tech 21 did a great job on that! As mentioned, the original BDDI has been on my board for 2 decades by now. And it has been rock-solid. 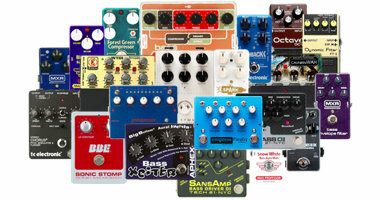 I have absolutely nothing bad to say about the quality of these pedals. Obviously, times has road-tested the original pedal for me, but not this new one. I have no reason, though, to suspect that this one would be any less well constructed. Until proven otherwise, it is in my mind built like a tank – and to last for years and years. As I mentioned in the CONTROL section, the physical layout of the knobs is not super logical. You need to understand which knobs are tied in with the BLEND knob, or you might be confused or even think the pedal is not working properly. But as I also pointed out, once you get this – and it’s really not that tough – there are no issues in that department at all. 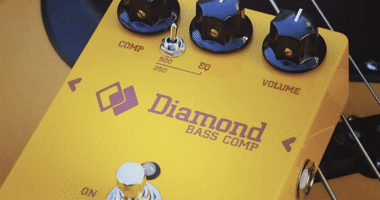 The DI, the possibility to power it via Phantom Power and the line level control adds further to the possible ways to utilize this pedal, and clearly it has been designed for a wide range of applications. From preamp-like means before an amp or recording session, or as part of an in-ear monitoring scenario. The new BDDI v2 sells fro $209 MSRP, which may be just a hair above your average impulse purchase. But considering what you get in return, I think it is a very good price. I can’t remember exactly what I paid for my original BDDI, but it was probably in the same area – if not more. And I have never regretted that investment. So, even with a price tag above $200, I find that there is plenty of value for money with the BDDI v2. 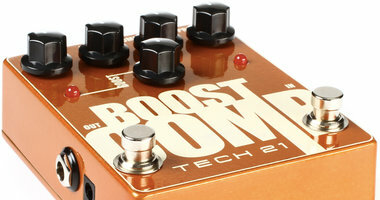 Great-sounding pedal. Super versatile and solid as well. The new MID control is a great addition to the original BDDI and the emulation circuit sounds just as killer as it has always done. The one thing you need to be aware of if you are not familiar with the original BDDI, is the control layout,understanding that the DRIVE and PRESENCE knobs are tied in with the BLEND knob. Don’t freak out if you tweak the DRIVE and nothing happens. It is likely just because you have set the BLEND to off. 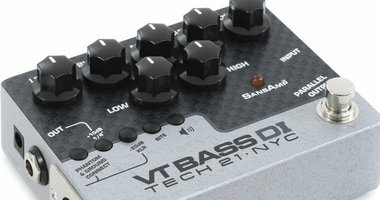 Once you get that, you are good to go and will be able to dial in and enjoy a plethora of amazing bass tones. Knob layout (still) not super logical, but once you get it there are no issues at all.